What Is a Flashing Globe in High Sierra Installation? Being a Mac user comes with a lot of benefits and plenty of convenience. But it’s not smooth-sailing at all times. Some users have reported that they are trying to reinstall macOS High Sierra but getting “flashing globe” instead. Related issues, such as being badgered by the flashing globe at startup, have also cropped up. Here are quick and handy ways to know: what is a flashing globe in High Sierra installation? We will also teach you ways how to reinstall macOS High Sierra successfully and without a hitch. Flashing Globe: What Does It Mean? If a flashing globe appears, it means one thing: the system is trying to NetBoot or start up from a remote volume. It’s failing to do so, and for some unknown reason isn’t automatically proceeding with your valid macOS installation. The problem can present itself in different ways. In most cases, the flashing globe appears while trying to reinstall macOS. One user has to erase his hard drive. Whenever he restarts his computer, he asks to connect to the network and enters his Wi-Fi password. After an hour, though, he’s still in the same screen and couldn’t connect to the Wi-Fi. He has decided to plug in his USB flash driver with a macOS installer when booting up. Still, he just finds the spinning globe for hours and hours. In another instance, a user erases her SSD by mistake. Her only option is to recover through the internet, but the spinning globe on Internet Recovery just keepings spinning, stuck there for hours. The internet works fine and all other websites and downloads do the same, she notes. It can be tricky to address this problem since you’re stuck with a flashing globe on screen and it just wouldn’t let up. Before making any drastic move, make sure that your hardware are all properly connected, and that the internet is working fine. 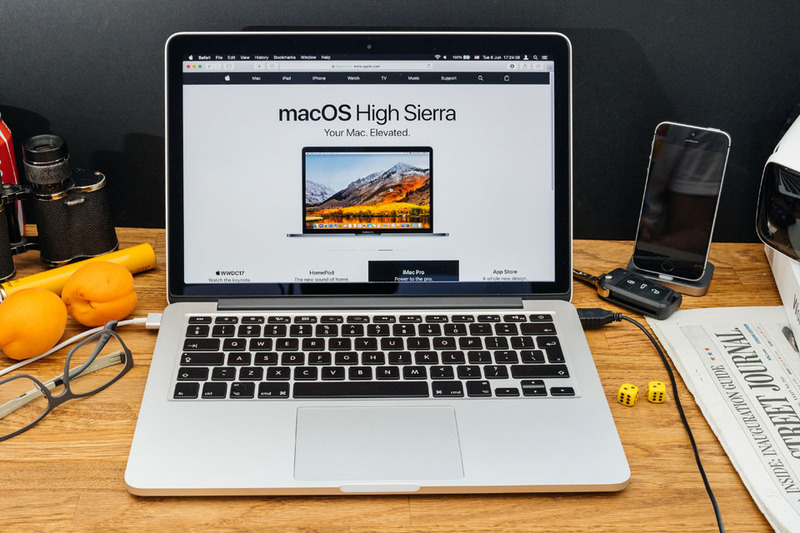 It pays to also regularly use a dependable Mac optimizer tool to clean out junk files and things that destabilize processes and the Mac’s operations. You may also try another internet connection, which has worked for some users who dealing with the flashing globe issue. If the problem persists after you have performed basic checks and diagnostics, then it’s time to get to work. Here are some solutions you try to tackle the flashing globe and reinstall macOS successfully. Look for the following keys on your keyboard: Command, Option, P, and R. Note that you will need to hold them down simultaneously later on. Press and hold the Command + Option + P + R keys before the gray screen surfaces. Hold the keys down until your Mac restarts and you hear the startup sound for the second time. At startup, try to hold down the Options key in order to select the boot volume. If you are still encountering issues, press and hold the Command + Option+ O + F keys during startup. Afterwards, reset your Mac’s open firmware settings via typing reset-nvram, pressing Return and then Reset-all, and finally pressing Return to continue the boot process. Immediately after the chime, hold down the Command + Option + R keys until a globe appears. The Utility Menu will appear in from five to 20 minutes. Wait patiently. Select Disk Utility. Next, click on the Continue button. Once Disk Utility loads, choose the drive (typically the out-dented entry) from the list on the side. Click on the Erase tab in the main window of Disk Utility. You will find a dropdown panel. Set the Format type to APFS (SSDs only) or Mac OS Extended (Journaled). Click on the Apply button. Afterwards, click on Done when it activates. Quit Disk Utility. Return to the Utility Menu. Select Reinstall OS X and click on Continue. Connect the USB key to your Mac. Launch Disk Utility, which you can find in Applications > Utilities. From Disk Utility’s left-hand side, locate the drive name and click on it. Hit the Erase tab across the top. Next to Format, hit the contextual menu. Choose Mac OS Extended (Journaled). Name the drive as you please. Click Erase and confirm this on the pop-up window that follows. Plug the USB flash drive into your Mac with the macOS installer on it. Rename the target volume that you wish to turn into a bootable installer drive. Name it something like “MacOSInstaller.” Any name you wish to call it will do, as long as you can adjust the command line syntax for them to match. It’s time for the target USB flash drive to get erased first. Afterwards, copy the files to it so that it becomes your bootable installer. Be patient because this can take time to complete. Wait for Done to appear before you proceed. Your installer drive has been created once you see Done. You can now use it to update your Mac, particularly with OS X 10.11 based on this tutorial. Boot from the installer drive by holding down the Option key during Mac startup. Select it from the startup volume menu. Alternatively, you may insert the installer into any Mac computer and directly launch the installer from the drive. A flashing globe in High Sierra installation can be a real source of annoyance, especially if you have plenty of stuff to do. It can persist for a long time, so try one of the different fixes we outlined above to resolve the issue. Have you ever encountered the pesky flashing globe? Tell us about your experience!